Chances are that your "existing building" code, if you have one, is based on the standard model code written by the International Code Council. This is the major organization convening teams of professionals to write model codes today. We are using the quotation marks around the term to emphasize to you that we are speaking of a code that governs already constructed structures, rather than the requirements for new construction. Typically your town council would adopt the set of provisions by referring to the ICC code book in a local ordinance (law). Your council might or might not add a few local amendments to adapt the model code to local conditions or customs, or make it more stringent or more lenient depending on local preferences and even politics. In essence, an "existing building" code, which applies to renovation, repair, and alteration of all buildings already in service regardless of their use, sets forth alternatives to the regular building code, which covers new construction. Later we offer an explanation of why we think communities and neighborhoods should want to enact extra standards, especially for their older existing housing. For example, an existing building code may not require all of the building systems, by which we mean plumbing, electrical, and mechanical systems such as heating and cooling, to meet the same standards that would be required in new construction. Minimum standards for building elements that might require major structural revisions in older buildings, such as changing stairway or doorway width, either may be more leniently regulated or possible to waive altogether. Contractors and property owners can choose to meet a predetermined historic standard designed to allow older buildings to keep an important original building element in place, or to meet a performance standard, which focuses on how well the building functions rather than minute details. The 2012 model existing building code also includes appendices covering alternative seismic, wind, and disability accommodation methods that are appropriate to older and historic structures. We applaud the general approach of encouraging both recycling buildings instead of demolition and the more specific concept of adaptive reuse, which means that the building use is changed into something economically more viable than the original intended use. We just think that the ICC set of codes may not provide enough clarity and focus for some communities facing housing decline. It's true that the ICC residential code—different from the existing building code--pertains both to new construction and to repairs, additions, and alterations of housing. Their property maintenance code allows for enforcement of the provisions requiring that wood and metals subject to rust or corrosion have a protective covering, such as paint, in good condition. The residential code even requires that interior surfaces be kept intact; for example, peeling paint or decayed wood is not allowed. However, most municipalities are unwilling to push their code enforcement authority as far as to allow the so-called "right of entry" onto private property for their inspectors to be applied to the interior of homes except in the case of obvious foul smells or something else seriously amiss. 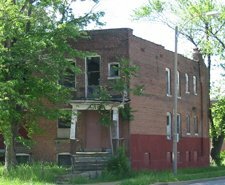 All of this bring us to the fact that neighborhood revitalization, or simply preventing neighborhood decline, point to the need for an existing housing maintenance code. This can be accomplished through cobbling together pieces of available model codes, such as those just discussed, and local standards of best practice in keeping housing stock up to date. It's one thing to regulate housing renovation and quite another to regulate maintenance. Various communities around the U.S. and the world have experimented with systems for inspecting housing quality. Famously, New York City has a housing maintenance code applying to rental housing. Starting with University City, Missouri, other cities and suburbs have tried an inspection system that allows for a wide variety of interior and exterior conditions to be required to be brought up to current codes when any housing unit changes tenants, whether that be an owner-occupant or a renter. A so-called occupancy permit then is required before the new household can move in. Any existing building code program should include something to address specifically the maintenance of single-family and multi-family homes apart from whether they are being renovated or altered. We find the "repair" aspect of the model existing building code to be too vague to assure that periodically minor maintenance items are addressed before they become major expenses endangering the viability of the housing unit on the market. The political problem with our line of thinking is that individuals will argue, sometimes correctly, that once cities start regulating something that would not require a building permit under normal circumstances, it’s a slippery downhill slope toward regulating aesthetics and purely cosmetic matters. So your town or city has to decide how far it wants to bend its police power, as the general authority to regulate is called under state constitutions, to force property owners to keep housing well maintained. The public interest involved is that when two or three houses on the block neglect ordinary maintenance, even if it’s “only cosmetic,” as opponents will say, property values can begin to spiral downward. The extent to which that occurs will depend on other locational advantages and disadvantages, as well as the degree to which the very characteristics of the housing, such as number of bedrooms, size of closets, and size of the home itself, remain popular in the marketplace. We think you can demonstrate that the police power of the city was used in the public interest if you have good data on which to base your judgment that it’s important for your city to be vigilant about the condition of its housing stock. That might be comparative data about relative age and condition of housing in different parts of a city or metropolitan area, or it also might be data based on the vulnerability of a particular type of housing to an early demise or to natural disasters common in your area. When cities had more money available to inventory housing, frequently they would conduct windshield surveys (meaning the inspector or planner didn't leave the street) to subjectively or somewhat objectively, using a checklist, evaluate the condition of the existing housing. We do think that the typical existing buildings code, while possibly an important element of the housing maintenance program, probably needs to be supplemented or cross-referenced with additional regulations. The inspection of the housing unit when vacant seems the least problematic all around. It tends to limit most people’s objections to the inspector visiting the premises, and it also is an opportune time for the economic impact of the needed improvements to be taken into account in the form of an increased sales price, or increased rent. Requiring an occupancy permit, based on complying with a housing maintenance code, before allowing a new resident to move in seems a sensible way to address the issue of an aging housing stock, and a stronger plan than simply an existing building code. The housing maintenance code can address matters normally specific to housing based on local standards. Local building materials and preferences also can be accommodated, and requirements can be much simpler than those found in model codes if the municipality wishes. If you're aggressively protecting property values and overall appeal of your neighborhood or community, think about a code-based approach to community development.